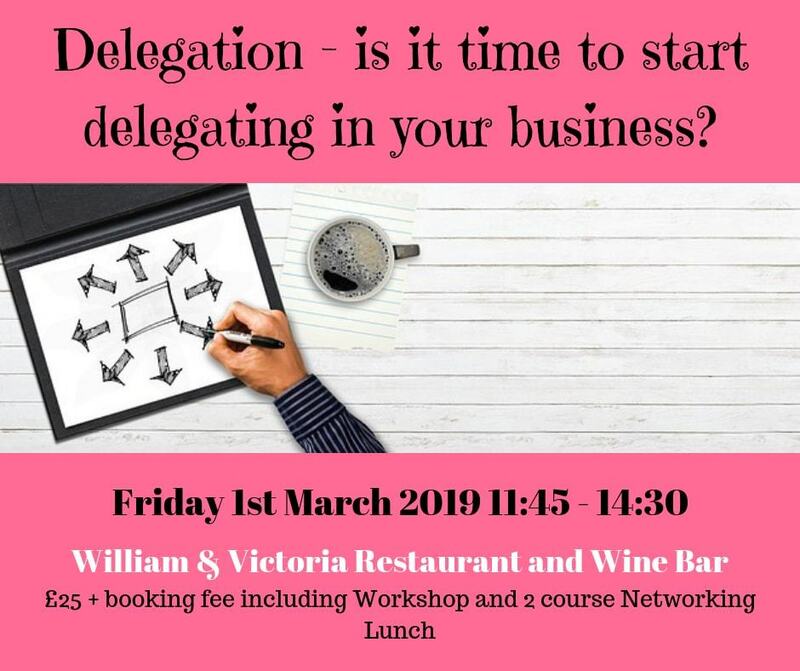 Delegation – is it time to start delegating in your business? Ping! Something needs your attention. Is it an email? A tweet? A text? A reminder on your phone? A calendar invite? Ping! Another one. Ping! There’s that sound again. Following on from our first 2 goal orientated events in 2019, our March event will be looking at what might stop you from achieving your goals. Fiona Macpherson is an award winning virtual assistant and has spent the last 10 years supporting a wide range of business owners, enabling them to be more efficient and profitable. Fiona will be sharing some of the techniques she uses with her clients, in particular she will be looking at time management and how you can use the 6 T’s to free up time to concentrate on your business or personal goals. REMEMBER TO BOOK EARLY AS PLACES ARE LIMITED! Please note that we are unable to refund no-shows. Cancellations made within 48-hours of the event will be refunded at 50%. Cancellations made outside of 48-hours before may be refunded in full. No refund will be given to Cancellations and No Shows on the day. The workshop is scheduled to begin at 12:00. Please aim to arrive at 11.50am for registration, coffee/ tea, and networking. This will enable to us to both start and finish promptly. Free 3 hour disc parking can be found on Valley Drive, Swan Road and Valley Mount, which is to the rear of Valley Drive, and from which you can access Cold Bath Road via a back street and path. All other parking off Cold Bath Road is either 2 hour disc parking or pay and display.